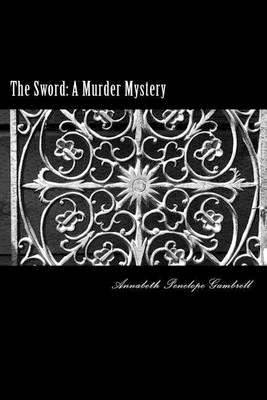 Today we are interviewing Annabeth Penelope Gambrell, author of the mystery novel The Sword: A Murder Mystery. Ixora Ishikawa and James Anthony Nicholas Taylor III are detectives in the small, quiet town of Tylerville, Texas. Humdrum country life comes to a screeching halt when a teenager is found stabbed to death with a Scottish Claymore. It is up to Ishikawa and Taylor to find out who is responsible... But what other things will they uncover in the process? Men and women, 18+ and those interested in crime novels. I have a friend and his stepdad used to go to auction sales. At one such sale, his stepdad got a bunch of swords and knives in a bulk lot. None of they were a Claymore but it got the gears in my head turning. I love to watch the real-life crime shows and, well, something sparked in my mind and I came up with the idea for the story. I wrote it back in 2003 but had no idea how to finish the story until I came back to it late last year. Ixora, because she's the one trying to figure it all out. I started scribbling stuff when I was in elementary school in notebooks and carried on through middle school. Sadly, I have lost most of those original stories. When I was in high school, I figured out how to use Word and took my scribbling there. I wrote a couple of original stories then but, again, those were also lost. I stopped writing for about 4 years because of work and family obligations but picked up my writer's hat again in 2000. My grandmother had fallen ill in the winter of 1999 and was no longer able to do everything she had been able to do. I ended up being her caregiver and, in the midst of that, started writing fanfiction for a few anime series. It helped take some of the stress off. Writing also helped me get through my grief when my grandmother passed away in May of 2002. My stories were well received and I wrote quite a bit until around 2005, when I went back to work full-time. I wrote off and on during that time and decided to try my hand at another original novel (besides 'The Sword', which was just tucked away) but it went nowhere. I had stopped writing fanfiction for a long time until a show came along in 2011 that got my brain going again and I am currently working on the 11th story for that show. In the winter of 2013, I decided to dust off 'The Sword' and finish it. I really like the Harry Potter books. I have learned a lot about paragraphs and punctuation. I have a bad habit of not describing people completely so I'm working on that. I actually liked English class. It and science were my two favorite classes. I think it is a good thing because it makes them more portable than carrying around a book. I can be forgetful and I have left many a book behind to be lost forever. To be able to support myself with my writing. I'm not sure if I have had any impact with my fans. If I have, no one has mentioned it to me. It goes back and forth, depending on how focused I am on my writing. Typos and editing. I had it when you think everything is okay then you go back and find it isn't. I'm a 'one and done' type person so it takes a lot of patience for me to go through and edit. Right now, actually. I can't seem to get myself into the mindset to work on the second book in this series. I have the idea and I know I want to do but sitting down and doing it is the hard part. I deal with writer's block by letting it work itself out. I can't force it away or it just comes back worse than before. I use the computer mostly. If I'm somewhere and I get and idea, I'll use pen and paper to scribble out the idea. Computes are just easier because I can go back and look at what I have written and change it without wasting paper. I'm working on an idea for the next book when my characters carry on with their mystery solving. I can't say much though because I don't want to ruin the end of this book. Nothing I can think of. I don't want to spoil anything.